IMPORTANT: In the Verification Call box below, please enter information as to how we can contact you by phone. We require all accounts be verified before services can be activated. We are sorry for the delay but we do this for security reasons and to help keep costs from rising due to fraudulent transactions. Please let us know what time zone you are in, which country and the times of day we can call you to verify your account. Please provide a phone number where we can reach you, this will normally speed up the process. If we are unable to reach you due to lack of information, your account activation will be delayed until we can speak with you. Most verification calls are made within a few hours during normal business hours 9am-9pm US Central Time. PLEASE READ CAREFULLY BEFORE USING THE SERVICE(S) YOU ACKNOWLEDGE AND AGREE THAT, DEPENDING ON THE SERVICE ORDERED OR THE LOCATION THAT THE SERVICE IS CONSUMED, ACCESS TO ANY 911 OR SIMILAR EMERGENCY SERVICES (INCLUDING, BUT NOT LIMITED TO, TRADITIONAL 911, E911, OR SIMILAR EMERGENCY SERVICES) MAY NOT BE INCLUDED OR AVAILABLE. This E911 Notice explains some of the limitations of E911 as it relates to the Service(s) and equipment associated therewith. The Federal Communications Commission (.FCC.) requires that interconnected VoIP service providers supply E911 Service capabilities to their subscribers. 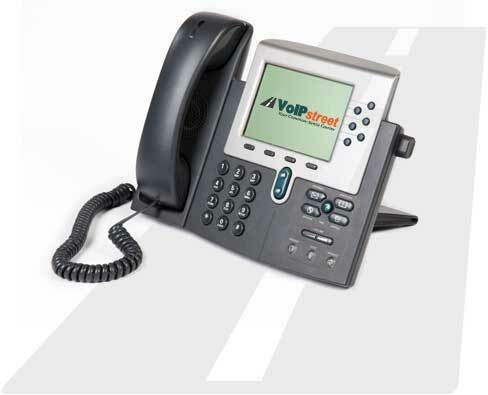 Some, but not all, Services offered by VoIPStreet qualify as interconnected VoIP services. If you order any Service that qualifies as interconnected VoIP service under the FCC definition, VoIPStreet will provide E911 functionality for such Service. VoIPStreet is providing this E911 Notice to explain the circumstances under which E911 Service may not be available or may in some way be limited compared to traditional landline telephone service. By checking below, you acknowledge that you have received, read, understand and agree to the policies and limitations described in this notice. Traditional Emergency Calling. In the United States, when you call 911 using a traditional landline telephone, your call is routed to the nearest public safety answering point ("PSAP") and your number is displayed on the dispatcher's console. The PSAP cross checks your telephone number against its address records to determine your exact location and directs the proper emergency service to you. When you reach a PSAP equipped for E911service, your callback number and location are automatically displayed to the dispatcher. Emergency Calling Using VoIP Services. Calling 911 using VoIP services is different from calling 911 using traditional landline services. Some of the key differences with VoIP services are as follows: (i). Availability. E911 Service will not be available in areas where E911 service is not available for traditional landline telephone service. In cases where E911 is not available for traditional landline telephone service, VoIPStreet will route emergency calls to the police department or other emergency service provider for that jurisdiction. (ii). Power Outages. Electrical power outages will disrupt the Service, and you will not be able to use the Service or place E911 emergency calls. (iii). Telephone or Computer Problems. Problems with your telephone, computer, modem, router, or other IP-enabled hardware may limit or completely restrict your ability to use the Service or place E911 emergency calls. (iv). Problems with High-Speed Internet Connection. Problems with your high-speed Internet connection, including outages or network congestion, may limit your or completely restrict your ability to use the Service or place E911 emergency calls. (v). Suspension of Account. If your Account is suspended for any reason, including non-payment of charges, you will not be able to use the Service or place E911 emergency calls. (vi). Problems with the Service. If VoIPStreet should experience problems in providing the Service, including, but not limited to, hardware problems, software problems, Internet connectivity problems, or network maintenance issues, you may not be able to use the Service or place E911 emergency calls. (vii). Problems with Equipment. If you should experience problems with any equipment, you may not be able to use the Service or place E911 emergency calls. (viii). Outside the United States. If you are calling from a location outside the United States, you will not be able to use the Service or place E911 emergency calls. (ix). E911 Provisioning Intervals. Provisioning of your E911 service may take additional time following the activation of the Service, during which time E911 emergency calling may not be available. (x). Required Information. When you call 911, you may need to advise emergency service personnel of the nature of your emergency, your telephone number, or your physical location. If your call is disconnected for any reason, emergency service personnel may not be able to call you back, determine your physical location, or dispatch emergency personnel to your location. (xi). Failure to Register Your Location Accurately. It is important that you keep VoIPStreet advised of your physical service location at all times, keeping in mind the E911 provisioning interval issues detailed above. If you subscribe to the Service using an incorrect physical address, or if you change your physical address without notice, emergency calls may be routed to an incorrect emergency service provider, and emergency service personnel may not be able to transfer your call or respond to your emergency. (xii). Address. In order for E911 Service to work properly, the E911 Service address in VoIPStreet.s records MUST correspond to the physical location from which you will use the Service. You cannot specify a P.O. Box as your physical address. The emergency service dispatcher will only send emergency service personnel to your registered E911 Service address. VoIPStreet does not make, nor does it intend to make, specific representations or warranties based on the statements above, as it cannot foresee every possible combination of events. The fact that VoIPStreet may connect 911 phone calls for you, or in situations in which E911 services are not available, does, in no way, create a warranty that such call will be connected without delay or error free. VoIPStreet may charge you additional fees, and/or pass through to you any charges, fees taxes or other amounts assessed on VoIPStreet, for any E911 call that is connected by VoIPStreet if the Service(s) does not include E911. If you are a reseller of VoIPStreet.s Service(s), then you hereby warrant that you provide the above notice to your End Users. You agree that you will not resell VoIPStreet.s Service(s) to your End Users or any third party without first making arrangements to provide 911 and other emergency services in accordance with local, state and Federal laws and regulations. VoIPStreet reserves the right to terminate the Service(s) immediately and without notice or liability if it determines that your End Users are using VoIPStreet.s Service(s) in violation of the foregoing. You shall besolely responsible for any liabilities that arise from your provisioning of, or failure to provide 911 or other emergency services to your End Users or third parties. You agree to indemnify and hold VoIPStreet, its Third Party Vendors, and the parent companies, sister companies, employees, directors, officers and shareholders of the same, harmless from and against any and all claims, liabilities, losses, judgments, damages and expenses, including without limitation attorneys' fees and costs of litigation, incurred or suffered by such party relating to or arising from your provision or failure to provide 911 or other emergency services pursuant to this Notice. In order to access and use the Service, Customer shall provide all information requested on this Sign-Up Page, including any credit card account information reasonably requested by VoIPstreet. Customer hereby authorizes VoIPstreet, or any third party designated by VoIPstreet, to charge said credit card account in amounts requested by Customer. Said charged amount shall be deposited into a Customer Account. VoIPStreet shall debit said Customer Account as Customer consumes the Services in the amounts reflective of such use in accordance with the Terms of Service, and the rate schedule, plus any taxes, fees or other charges set forth in the Terms of Service, all of which may be amended from time to time at the sole discretion of VoIPstreet. Customers submission of the information requested on this Sign-Up page and consumption of the Service shall be conclusive evidence of Customers agreement to the Terms of Service and the rates for the service contained on this Sign-Up Page and chosen by Customer. Customer shall, at all times, be responsible for accurately providing VoIPstreet with Customers valid payment information, including the payment method, and maintaining and updating the same at all times. Customer shall ensure that Customers Credit Card Account contains adequate and available funds each time Customer requests VoIPstreet to charge such account. Customer hereby waives any and all claims, actions or suites against VoIPstreet, or such designated third party, and the parent companies, affiliates and subsidiaries, employees, officers, directors and shareholders of the same, and releases the same from any errors, omissions, and/or liabilities that may arise due to the processing of a aforementioned charge. By clicking "I Agree", I hereby acknowledge that I have read the forgoing and Agree to be bound by the same.